What is the KFC Wildcard? How do I get in the Kingfish Cup if I wasn't in last year? It is very important you join the Kingfish Cup email list AND follow the Kingfish Cup on Facebook. These are the two ways that information on Kingfish Cup are spread. There will be an open enrollment date/time that you will need to be ready for entry. Availability is based on a first-come basis. How many boats will you be taking in 2019? 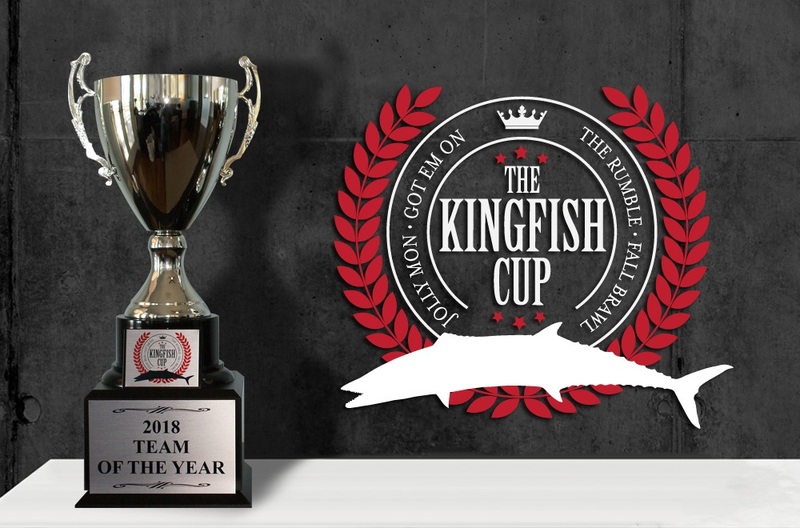 The Kingfish Cup will allow 100 teams to compete in 2019. IF there are additional teams that have interest in participating, they may be added in blocks of 10 at a time. Thus if the Kingfish Cup and 5 more teams sign-up, they will not be able to get in. If 10 more teams want to sign-up, then they will be given the chance to enter. Can I change the Captain once I have entered? No, the captain is fixed and cannot change. You can change the Co-Captain up until the first qualifying event, but the Captain's name cannot be changed once entry is recieved. If I understand correctly, a team is required to enter level 1, but can enter level 1 & 3 without entering level 2? When do you have to pay the entry fees for the four Qualifying tournaments? The Jolly Mon, Got'em On........are like they always have been. You can pay them direclty on-line, by phone or at their Capt. Meeting. The Kingfish Cup isn't changing anything about these events; it is simply an umbrella riding over the top of these all ready great events. However, you DO have to enter them in order to earn points to qualify for the Kingfish Cup Championship. How does the Win and You're In deal work for the Championship? If you win 1st place in any of the qualifying events, (Jolly Mon, Got'em On, Fall Brawl, Rumble) then you get an automatic invite to the Kingfish Cup Championship. You have to win 1st overall in the event to get the event though, not just top Kingfish Cup boat. Does this include the 4 tournament entry fee's, or do you pay the 4 entry fee's plus the one time Kingfish Cup level fee? The Kingfish Cup has its own entry. It is an "umbrella" that rides over top of the Jolly Mon, Got'em On, Fall Brawl and Rumble. Thus you will pay entry fees like you always have to participate in the Jolly Mon etal. and the Kingfish Cup will be a seperate entry fee. Are the 4 tournaments still going to be open to boats not in the Kingfish Cup? Absolutley YES ! The Kingfish Cup is proud to be a part of these awesome local events, but in no way will it affect how these events have been and will continue to be operated. 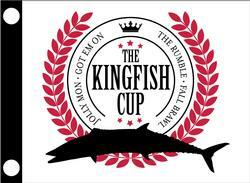 Kingfish Cup or not, we want you at the Jolly Mon, Got'em On, Fall Brawl and Rumble. What happens if the Championship is cancelled and cannot be rescheduled? If the Championship can not be held for whatever reason, prize moneys will be awarded based on point total accumulated from Qualifying event; your end of year rank. However, there are no parameters or rules as to when a reschedule of the Championship may be attempted, thus all options are open to insure a Championship event takes place. What happens if a Qualifying event is cancelled and cannot be rescheduled prior to the Kingfish Cup Championship? As relates to points; it will remain your best three fish point total. Thus there would be no drop fish. As relates to prize money designated towards payout in that Qualifying event; it would be pushed to the next Qualifying event to double that payout. In the event it was the last Qualifying event that was cancelled, the money would be pushed to the Championship. If the event is rescheduled, but it is after the Championship, the prize money will stay with the Qualifying event to give all participants a chance at that money. What happens if there are no teams that entered in Level 2 or 3 that make it to the Championship? What happens to the $$ ? At the end of the last qualifying event, each team will have a rank based on their total combined 3 fish weight. The top 30 teams will be invited to the Championship. If by chance none of these 30 teams are in Level 2 and/or Level 3, then monies from either Level would go to the top three highest ranked teams. If only two teams make the Championship that are in Level 2 or 3, those two teams will be battling it out for who gets first place money from that Level, while the third place money would go to the highest ranked team that did not make the Championship top 30. For the Championship, can I fish commercially for King Mackerel while also fishing the tournament? No. The Championship is a recreational event and thus recreational rules will apply. Teams will be required to abide by state bag limit laws during competition. If I am one of the participants this year, will I have the first opportunity to enter the Kingfish Cup next year before accepting new entries? If you enter AT LEAST two Levels of entry, then you will be offered the opportunity to enter next year's Kingfish Cup before entry is opened up to new teams. This is called being "Grandfathered". Can I mail my entry or deliver it by hand instead of doing with a credit card online? You can bring any of your entry monies to the Ocean Isle Fishing Center so long as received prior to closing of entry for the first Qualifying event. What are entry deadlines? I'm confused. Entry for grandfathered teams opens February 15th and closes at 11:59pm on February 28th. This will determine how many open spots are available to fill the 100 boat field. Entry will open up to the public on Wednesday, March 6th at 10am via on-line entry form. All of the captains will have paid the minimum Level 1 entry of $1000. The deadline to LEVEL UP will be when the registration for the first Qualifying event closes. When is cutoff to be able to add additional Levels to my Entry? You have until registration for the Jolly Mon closes. After that date, all payouts will be set for the season through the Championship. Who can fish with a qualified boat in the Championship? For example if I qualify and my friend Joe Blow did not, could he fish the championship with me? Anyone can fish with you during the Championship. The only requirement is that at minimum, EITHER the registered Captain OR Co-Captain must be on the boat. Is there an entry fee to the Championship? The payouts that are shown for the qualifying events, do I have to pay every time for each tournament to fish for those? Your initial entry in Level 1, 2 and/or 3 is the ONLY entry fee you will have to pay all year. Those payouts that are published are for EACH of the qualifying events. Do you have to fish all four of the qualifying tournaments? No. To qualify you must amass the highest point total. That can be done with up to three fish, thus if you catch a 100 pounder you will likely qualify. Further, if you win a qualifying event you will automatically get an invite to the championship. Simply ask your question below and we will respond promptly. 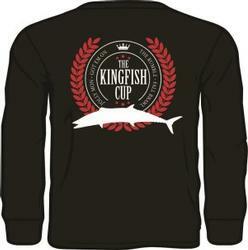 What is the Kingfish Cup? The Kingfish Cup is a limited entry tournament series that will pay over $480,000 in prize money to winners in 2019. It will offer 100 teams the opportunity to compete over a course of four qualifying events to earn an invitation to a Championship event which will pay out over $240,000 to its winners. The Kingfish Cup qualifying events are the Jolly Mon, Got’em On, Fall Brawl and Rumble King Mackerel tournaments. The 100 teams that choose to sign up to participate in the Kingfish Cup will fish these four events to amass the highest three fish point total; there will be one drop weight available out of the four events. The 25 teams that amass the highest three fish point total will receive an invitation to compete in the NO ENTRY FEE Kingfish Cup Championship event. 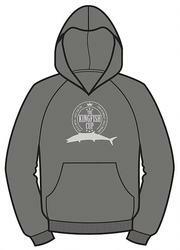 Further, any Kingfish Cup team that wins 1st place in a qualifying event will earn an invitation to the Championship. Andlastly, a Kingfish Cup Wildcard event will be held the Wednesday prior to the Championship. The top 3 finishing teams not yet qualified will win a wildcard invitation to fish in the Championship. Thus the largest possible field to fish the Kingfish Cup Championship will be 32 boats (25+4+3). This final event will be held November 5-10th from Ocean Isle Beach, NC. How is Prize Money Awarded? 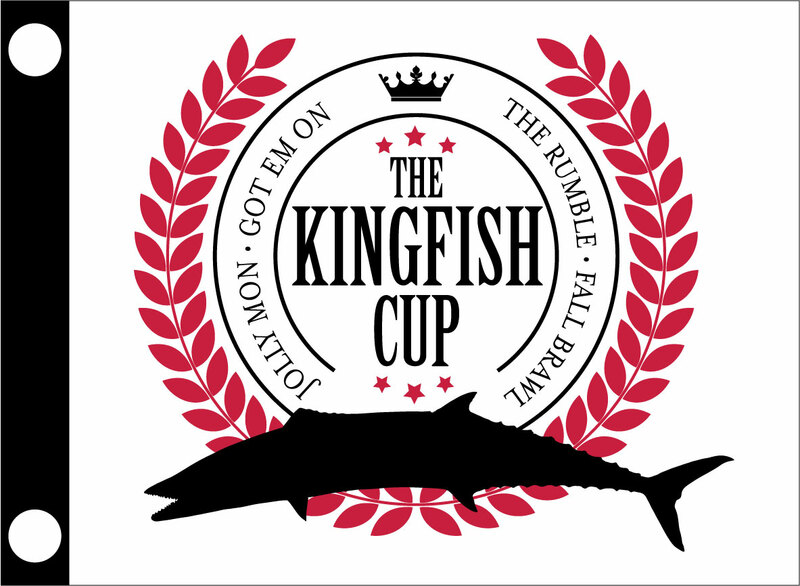 To participate in the Kingfish Cup, the 100 teams must pay the required minimum Level 1 entry fee of $1000. There will be three optional entry levels; Level 2 fee is $2000, Level 3 fee is $3000 and Level 4 fe is $4000. Entry to Level 1 will close when the 100 boat field is filled. However, teams within this 100 boat field may add additional optional Levels to their entry up until the start of the first qualifying event, the Jolly Mon. All 100 teams participating in the Kingfish Cup will compete for Level 1 money while only those teams who enter the optional levels will be competing for that level’s money. Level 1, 2, 3, and 4 money will be awarded in two different ways. The first will be through the qualifying events; Jolly Mon, Got’em On, Rumble and Fall Brawl. In each of these qualifying events, the top 10% of the teams will win money based on which level or levels of entry they are participating. The second way that Level 1, 2, 3 and 4 money will be awarded is at the Kingfish Cup Championship event. The 28-32 teams who qualify for the NO ENTRY FEE Championship will be competing for the remainder of the purse not awarded in the qualifying events. The second way that Level 1, 2, 3 and 4 money will be awarded is at the Kingfish Cup Championship event. The 28-32 teams who qualify for the Championship will be competing for the remainder of the purse not awarded in the qualifying events. Teams that entered at least two LEVELS the previous year will be given the first right of refusal to enter for the coming season, called being "Grandfathered". Entry for grandfathered teams opens February 15th and closes at 11:59pm on February 28th. Open enrollment will begin on March 6th at 10am. 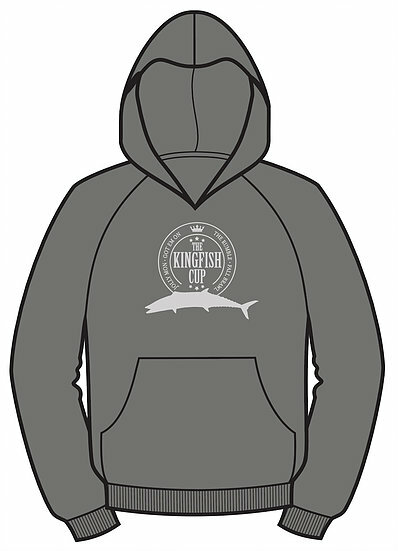 You will need to go to this page - https://www.kingfishcup.com/kingfish-cup-entry - If you get on this page before 10am, the page WILL NOT allow you to enter. You will want to hit the "refresh" button frequently leading up to 10am until the entry will go live and will allow you to enter your information necessary to enter the tournament. In order to enter, you will have paid the minimum Level 1 entry of $1000. The deadline to LEVEL UP will be when the registration for the first Qualifying event closes, Jolly Mon King Classic. 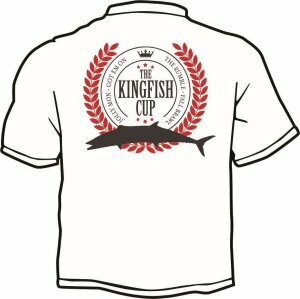 Wednesday, June 12th, 7pm: The OIFC Wing & Fish Company (4764 Main Street, Shallotte, NC) will be hosting a get together for all Kingfish Cup entrants as kickoff to the season. Festivities will include complimentary food from the Wing & Fish Company and live entertainment. The Captain’s Party will allow the Cup director to address all participants regarding rules, procedures, points tabulation and answer any questions. In addition, optional levels can be entered on-site. Each of the four Kingfish Cup qualifying events have established themselves as successful, fishermen friendly events. The Jolly Mon, Got’em On, Fall Brawl and Rumble host an average of 200 fishing teams per event and annually award winnings in excess of $500,000 and donated over $20,000 to local and regional charities. To receive points in the Kingfish Cup and thus qualify for the Championship, teams will fish in these four events to amass the highest three fish point total. Each qualifying event will have its own rules and operate independently as they always have. Kingfish Cup teams must abide by each qualifying event’s rules to receive points. *** Teams are not required to fish any set number of qualifying events. Fish one or fish all four and amass a point total high enough to finish in the top 25 and you will receive an invite to the Championship. There will be a provision whereby any Kingfish Cup team that wins a qualifying event will recieve and automatic invite to the Kingfish Cup Championship. There will also be a Kingfish Cup Wildcard event that will give 3 wildcard invitations to the top 3 teams not all ready qualified to fish the Championship. When you enter the Kingfish Cup, you will receive a custom Kingfish Cup flag. You are asked to zip tie this flag to your VHF antennae so that it can be seen during all Kingfish Cup qualifying events. The flag will allow you and others to know who Kingfish Cup competitors are as well as allow dockside Kingfish Cup staff to recognize participating teams.